When we create an email template as developer or designer we want to make it look good. However writing good and refreshing a page to changes is tedious work. With a visual generator you can create themes fast and easy. You simply create a new theme and start picking colors per section. 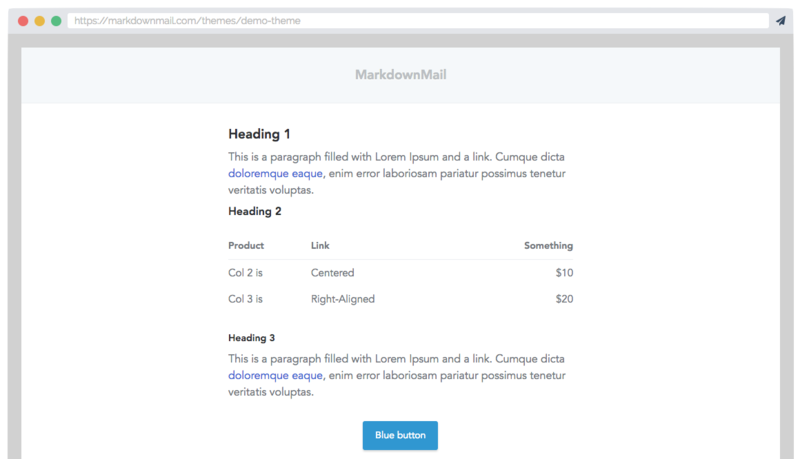 When you are satisfied with the theme colors you can click one of the generate buttons to either generate a Laravel Markdown CSS theme or the plain generated HTML including inline styling.